Integrative Yoga Therapy for Chronic Pain & Illness | Roots and Wings yoga and healing arts, Natick, MA"
A gentle, therapeutic course for those living with the daily challenges of chronic pain & illness. This will be a small-group class, with plenty of one-on-one time, and is perfect for anyone living with Fibromyalgia, Arthritis, Back Pain, Cancer, Migraines, or many other painful or chronic conditions. Each participant will have a brief telephone intake session with the instructor before the start of the session. 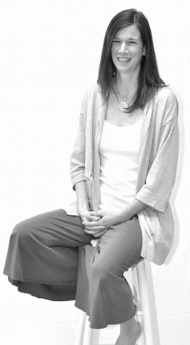 The instructor, Alaine Amaral, is a certified Integrative Yoga Therapist (RYT500), a certified Kundalini Yoga & Meditation Instructor and an experienced Wellness Educator. She has lived with Fibromyalgia since 1998. She uses a variety of tools to manage her health and enjoys a healthy, happy & balanced life with her husband and 2 children. Workshop Cost: $165.00 No drop-ins for this series.